We source the latest technology, and our Prices cannot be beaten! If you can find any of our lights anywhere at a cheaper price, let us know and we will reduce ours! 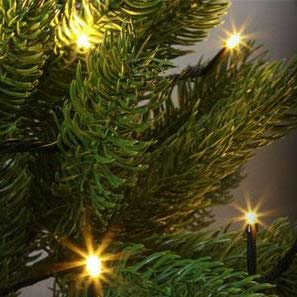 When it comes to festive decoration, there aren’t a lot of solutions which are more appropriate than conveniently aligned battery fairy lights. These are capable of bringing up the spirit of anyone in the house and also those who walk outside it. They are perfect for both indoor and outdoor decoration, so regardless of your requirement, fairy lights are most certainly capable of taking up the challenge and performing perfectly. There are quite a few advantages of going for battery fairy lights and below you are going to find the ones which are most worth looking into and taking into consideration. When it comes to Christmas decoration, the majority of people are going to use tons of different synthetic solutions which are actually easily inflamed. Of course, they are completely safe if they don’t come in touch with fire but on occasion even excessive heat could trigger a disaster. Battery fairy lights are the perfect addition and complement to your Christmas decoration because they are absolutely safe. There is literally nothing for you to worry about because they produce no heat. Furthermore, even in the event of a malfunction or a direct damage, you can rest assured that no spark would be produced thus eliminating the chance of any fire hazard. The truth is that regular fairy lights which are plugged into the power outlet are going to consume a considerable amount of electricity. Battery-powered solutions, on the other hands, are energy-efficient which is one part of them being incredibly environmentally friendly and more efficient. Not only will you be able to look after the environment but you’d also be capable of making sure that the monthly bill doesn’t increase a bit. Furthermore, once your batteries die out, you could easily recycle. This is capable of bringing you additional benefits at certain retail establishments, and you are actively helping to preserve the fragile environment. Furthermore, in terms of decorating capacity, battery fairy lights would bring the exact same amount of possibilities, if not more, than regular ones. They come in all sorts of shapes and colours and are suitable for all sorts of decorating setups. Whether you are looking for something to sparkle up the Christmas spirit inside of your home or you want to make the exterior of your house impressive and memorable, these are the solutions you are looking for. Battery fairy lights bring tons of convenient benefits that you can take advantage of right away.